Recently, in my career management efforts to retool myself to remain relevant in the current marketplace, I have embarked on a Graduate Certificate with DeVry University in Big Data and Analytics. As any good college course should do, from time to time, it provokes some introspection and deep thought. In this post, I discuss the need for the Skillful PM to be able to see the big picture and being able to "see the forest for the trees." I wanted to share something which I hope may help some of my readers in this area. Although it is a story about failure, I hope the reader will be able to grasp the points which will help them succeed. Some time ago I had a project administrator working for me who was very good at her job. She gathered updates and kept project plans up to date and generally helped the work stay on track. She was good to escalate issues and to help people figure out what dates they could actually commit to and attain. In her role, she was a top performer. She came to me and expressed her desire to advance in her career into the role of being a full-blown project manager. For both of us, this seemed both logical and very attainable. I asked her a few key questions to see if she had some experience in areas where I felt it required skills needed by a project manager, which her current role didn't require. Specifically, I found out that she had an affinity for math, for logic, and she enjoyed playing chess. You may ask why those three things were on my list as potential qualifiers for a project manager (PM)? The skillful PM (Sheppard, 2017) (Sheppard, 2019, TheSkillfulPM.com) has to do a lot of math. Math. Sometimes it is estimating the time needed for deliverables based upon how much work it takes (how many people and how much time) to deliver one completed product, and then dividing that into the whole volume of work required to ensure that we have sufficient time and resources to achieve the project objectives. At other times, it is creating weighted averages or performing Monte Carlo Simulations to determine a probable completion date when many factors are still not fully clear. Logic. The skillful PM has to be able to take big problems and break them down into many smaller problems, order those smaller problems based on both logical and resource-driven inter dependencies and guide the team to create a project plan that will deliver the project objectives within the "triple-threat" of project constraints of quality, time, and resources. The skillful PM also needs to be able use both deductive and inductive reasoning (Wikipedia, 2019). S/he must be able to draw conclusions about where facts are leading, and where those facts came from. Or, to be a bit more scholarly, the skillful PM needs to be able to reason from the specific to the general and from the general to the specific. Chess. The skillful PM has to be able to both look ahead and plan ahead, considering contingencies and alternate courses of action, but also has to be able to consider the motives and potential actions of ALL the people impacted by the project (stakeholders). Failure to anticipate both good and bad things can result in both minor and major setbacks or even complete failure of a project. All of these skills are things that competent chess players do as they play. It is said that ordinary chess players play 3 moves ahead. Really good chess players are playing 8 moves ahead. Master chess players are playing 12 to 20 moves ahead. If you don't believe that, consider that The Queens Gambit, also known as The Fools Mate, can produce checkmate, ending the game, just four moves into the start of the game. Having determined that she seemed to have the requisite inclinations and abilities, I agreed to help her become a project manager. I gave her a project to manage, working under my supervision. Contrary to many popular views of project management, PM work does not begin with the plan. PM work begins with determining the root cause(s) of the problem(s) to be solved with the project. Failure to execute this step properly means that even a successful project can be a failure, because it treats the symptom, not the problem. Knowing this, I set her to her tasks to gather information on the team, the work, and the problem(s) the project was intended to fix. She did a great job of gathering information. She conducted interviews, captured responses, assessed resources, quantified work, and documented processes. She brought all her findings to me and I helped her organize them into a coherent presentation so that all the facts could be easily seen. Then, I looked at her findings with her and asked her, "Ok, so what does all this mean?" She looked at me for a moment and then began to repeat the facts she had shown me. I stopped her. Again I asked, "So what?" She stared at me blankly. I then asked her, "Do you want to know what these facts tell me?" She did. I proceeded to tell her the conclusions I could draw from the facts she had gathered. Conclusions which pointed to the root causes of the problems and thereby also suggested the probable cures for those problems. She said, "Now that you say it, I can grasp that they your conclusions are totally connected to these findings. But, I cannot understand, at all, how you got from these facts to those conclusions." She was unable to use inductive reasoning and move from the facts to the conclusions. Likewise, she was unable to see certain facts and deduce their roots. Unfortunately, this lack of logical reasoning ability meant that she was also unable to draw conclusions from her findings about what objectives needed to be achieved to meet the larger project objective, and what tasks needed to be done, in what order, to meet the subordinate objectives. In short, she could run a project plan, but she couldn't build a good project plan. Unfortunately, she failed as a project manager. I had to step in with the client she had been working with and redo the engagement. I hope, by now, you are seeing some of my point. 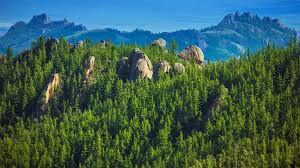 Her ability to see the big picture (the forest) and break that down into the individual trees, and her ability to see the trees and extrapolate the forest from them was what she needed to succeed. There will always be need for data scientists who are wizards with data. They know their tools and their data so well that they can answer any question about the data that you care to ask. However, if they don't know the questions to ask, because they don't understand the big picture of how the data relates to the business of the business, then they will forever be no more than a technician. They will end up working for someone who may not be able to spell SQL but who knows how to ask the right questions and relate the answers to the real needs of the business. 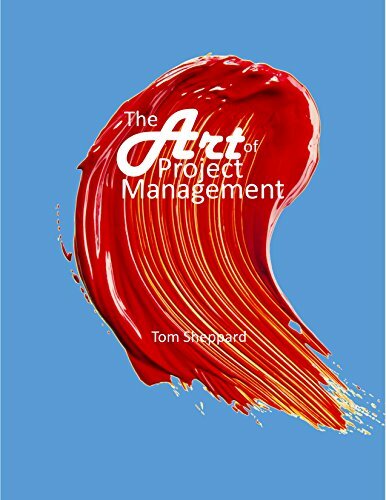 Sheppard, Tom., 2017, The Art of Project Management, A+ Results, LLC. Tom Sheppard specializes in managing large ($10mm+), high-risk, high-profile projects in the US Financial Services market. Author of "The Art of Project Management." More than 20 years experience in project management in banking and financial services with a PMP and MPM. More than 25 years experience in systems design, development, and management with a BSCS/MIS. Former US Marine and a former missionary. Fluent in English and Spanish. Experienced instructor. 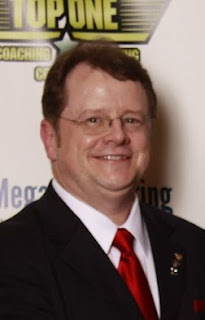 Successful business owner, international author and public speaker. Specialties: Program management, project management, change management, process design, business case development, negotiation, multi-tier system architecture, real-time parallel distributed databases, private placements and creative finance. (c) Copyright 2019 A+ Results LLC. All Rights Reserved. Your comments are welcome... Please observe some ground rules. No profanity, vulgarity, or personal attacks. Profanity, vulgarity and personal attacks not only betray a lack of vocabulary and imagination, they also are the hallmarks of bigotry, and bigotry is the hallmark of someone who is fundamentally insecure in their views. Facts are always welcome.